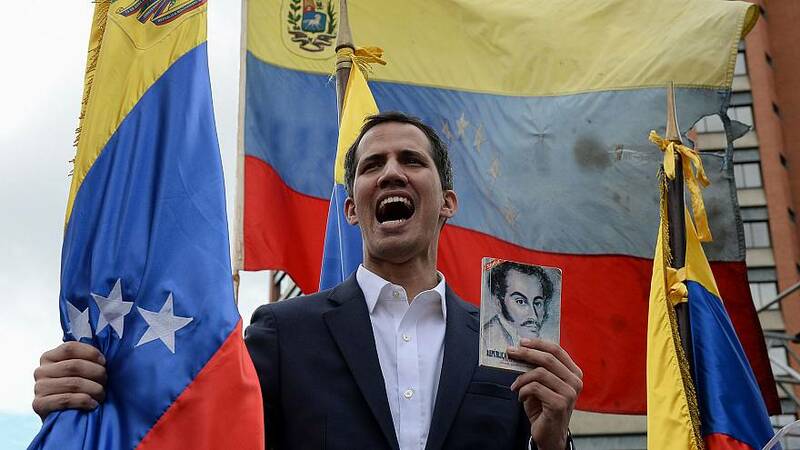 MOSCOW — Russia warned the U.S. on Thursday not to intervene militarily in Venezuela, saying such a move would trigger a catastrophe.Venezuelan opposition leader Juan Guaido declared himself interim president on Wednesday, winning the backing of Washington and prompting socialist incumbent Nicolas Maduro to sever diplomatic relations with the United States. Violence flared during big protests across Venezuela, and at least seven deaths were reported.In an interview with Russian journal International Affairs published on Thursday, Deputy Foreign Minister Sergei Ryabkov said Moscow would stand with Venezuela to protect its sovereignty and the principle of non-interference in its domestic affairs. Asked about the prospect of U.S. military intervention in Venezuela, Ryabkov said Washington should steer well clear. "We warn against that," he said. "We consider that would be a catastrophic scenario that would shake the foundations of the development model which we see in Latin America. "President Donald Trump has promised to use the "full weight" of U.S. economic and diplomatic power to push for the restoration of Venezuela's democracy.The prospect of Maduro being ousted is a geopolitical and economic headache for Moscow which, alongside China, has become a lender of last resort for Caracas, lending it billions of dollars as its economy implodes. Millions of people have fled the country in recent years to escape sky-high inflation and food shortages.Ryabkov did not mention Maduro by name, but made clear Moscow backed his government. "Venezuela is friendly to us and is our strategic partner," he said. "We have supported them and will support them. "Russia has also provided military support to Maduro, who has led the oil-rich nation since 2013.Two Russian strategic bombers capable of carrying nuclear weapons landed in Venezuela last month in a show of a support that infuriated Washington.Maduro visited Moscow in December, seeking Russia's political and financial support.China also called on the U.S. to stay out of Venezuela's political crisis and said it opposes all outside intervention there. Over the last decade, China has given Venezuela $65 billion in loans, cash and investment. 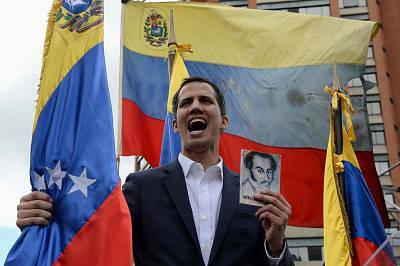 Venezuela owes more than $20 billion.Iran described the opposition's claim there that it holds the presidency as a "coup" and an attempt to take over power unlawfully. Tensions began ramping up earlier this month as Maduro took the oath of office for a second six-year term won in an election last May that many in the region contend was not free or fair because his strongest opponents were barred from running.But on Guaido declared Wednesday that the constitution gives him, as president of the congress, the authority to take over as interim president and form a transitional government.